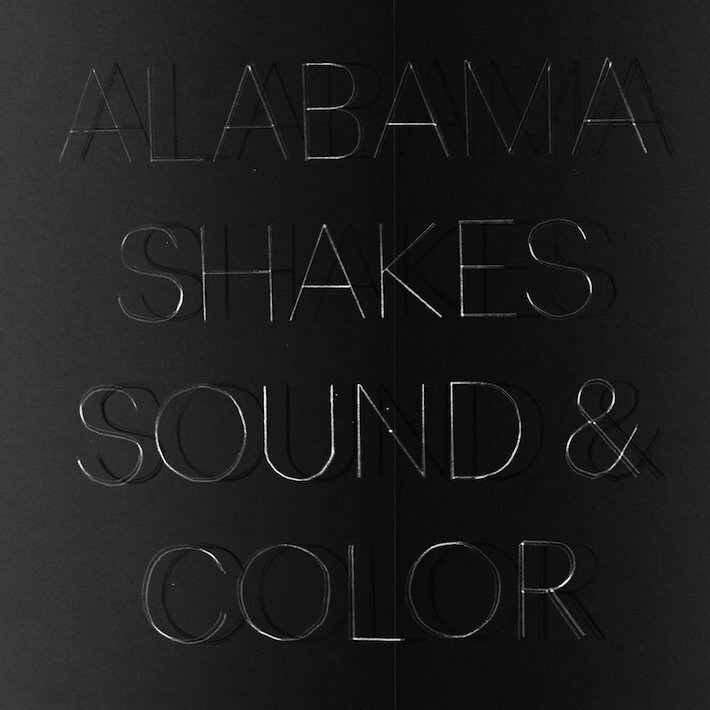 Coming off a tremendously successful debut album in 2012, Boys & Girls, the Alabama Shakes pushed themselves into bold new territories on their 2015 follow-up. Sound & Color is a 47-minute tour-de-force that shows the band's immense talent and creativity. One of the most stunning things about Sound & Color is how it seamlessly weaves together ultra-classic R&B with ultra-modern R&B. You can hear the purity of '60s and '70s legends like Sam Cooke, Al Green, James Brown, and Stevie Wonder juxtaposed with the post-'80s heavy hitters like D'Angelo, Prince, and Macy Gray. Brittany Howard leads the band with a voice that stretches all the way back to Billie Holiday while pushing forward into areas that have never been heard before. To call this an R&B album would be over-simplifying it. Dark psychedelic rock ranging from David Bowie to Led Zeppelin also comes through, as do African and Caribbean rhythms. The haunting, genre-defying nature of the record also calls to mind the funky Louisiana hoodoo of Dr. John. This is a transcendent record that may be a little too adventurous and weird to be a big hit, but it should be considered a great artistic achievement. When it comes to soul music, all the great artists have pushed themselves and taken chances to be unique. Much like Sly & The Family Stone and Parliament-Funkadelic, the Alabama Shakes have crafted a sound that combines soul with varying degrees of edginess from raging rock & roll to laid back doo-wop. Behind Howard, the rest of the Alabama Shakes continue to evolve and astound. On their first album, they proved they could play killer grooves with soul. Now they're showing they can push themselves to unpredictable new heights. Perhaps in response to critics who have said that the Alabama Shakes are too steeped in '60s and '70s Southern rock and soul, the band released obviously unconventional songs ahead of the album like "Don't Wanna Fight," "Gimme All Your Love," and "Future People." Those first three singles are all highlights, showcasing the fantastic guitarwork of Howard and Heath Fogg. Meanwhile, the rhythm section of bassist Zac Cockrell, keyboard player Ben Tanner, and drummer Steve Johnson provide a more than solid foundation on the challenging songs which come together in an extraordinarily dynamic stew of an album. The other highlights from the first half of Sound & Color are the psychedelic opener, "Sound & Color," and the upbeat, mellow acoustic ballad "This Feeling." The second half of the record features a string of more uptempo songs, "Guess Who," "The Greatest," and "Shoegaze." "Guess Who" has a jazzy, caribbean vibe, while "The Greatest" and "Shoegaze" are more oriented toward punk and indie rock. This stretch of songs leads to the closest thing on the album to a classic soul, "Miss You," with a tried and true chord progression locked into a backbeat-heavy groove that allows Howard to dig in and sing her heart out. The closing two songs, "Gemini" and "Over My Head," both delve into time-defying funk reminiscent of D'Angelo. Hats off to the Alabama Shakes, who really pushed themselves to write creative new music and push sonic boundaries in the studio. The result is a fun album that's got great energy and some truly special moments for fans of R&B, soul, rock, pop, and creative music that doesn't fit neatly into any single genre. Sound & Color will be released on April 20th / 21st. You can pick it up on Amazon (Vinyl, CD, MP3) and iTunes. You can also stream the full album above, via Spotify.